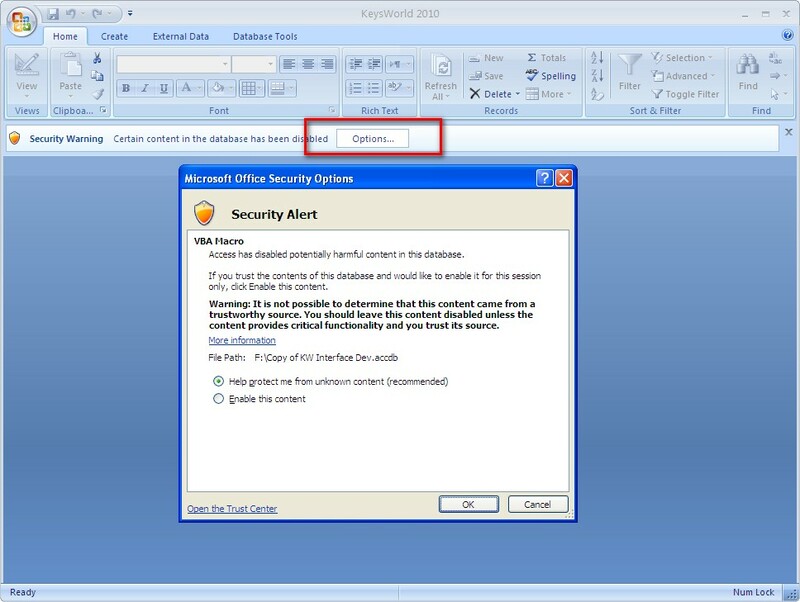 Home All How To's MS Office Tips How to remove annoying MS Access VBA Macro Security Alert? How to remove annoying MS Access VBA Macro Security Alert? VBA Macro Security Alert is apparel with MS Office 2007 application.MS Word, MS Excel, MS Access and so on are using MACRO , it is a feature in MS Office that you can automate repetitive task or make a series of actions using a piece of codes(I wouldn't explain much on it because I know you know it). Now, Macro was traditionally createdusing a Visual Basic for application (VBA) script and VBA script is a popular medium for virus makers. 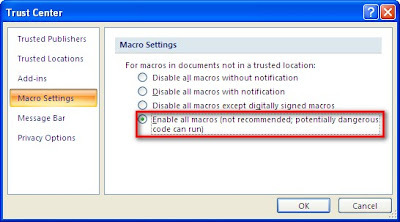 As you could remember mostly of the old viruses that destroys Office documents are made of VBA macro.To protect your system Microsoft created a VBA Macro Security Alert it is a Microsoft Office Security Options that trap potential harmful Macros. Now, as I am going to open my MS access programs( it will also effects in MS word or Excel) it annoys me that this Security Options, blocked my programs in the sense that it contains harmless macros and I am lazy to configure over and over again to make my program open directly. I’m sure you experience these. I have fixed mine and I will tell you how to do it. Follow the following steps. 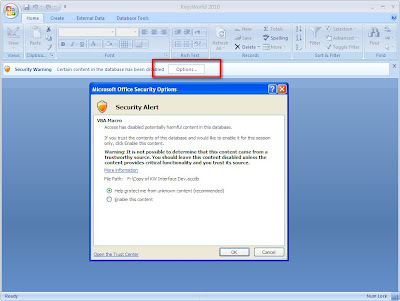 Disabling the Microsoft Office Security Options can be done in two methods. 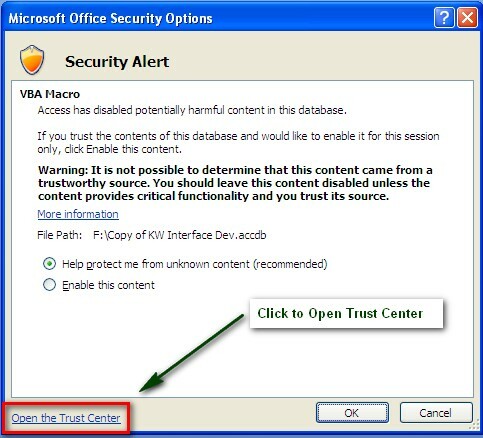 It's either you will do it using Office Options or Configuring the Trust Center. 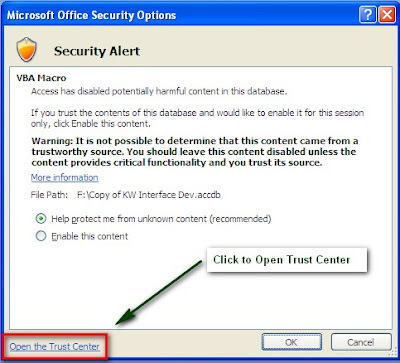 Now, we will do it with Trust Center settings because it will directly prompts you as you open the MS Office program with macros. 1. Open your MS access programs ( or any MS Office programs that has been blocked by MS Office Security Options. 5. As you can see there are four options choose the last one. Click OK.Close you program and open it again. Pls. put comments, suggestions & report broken link.